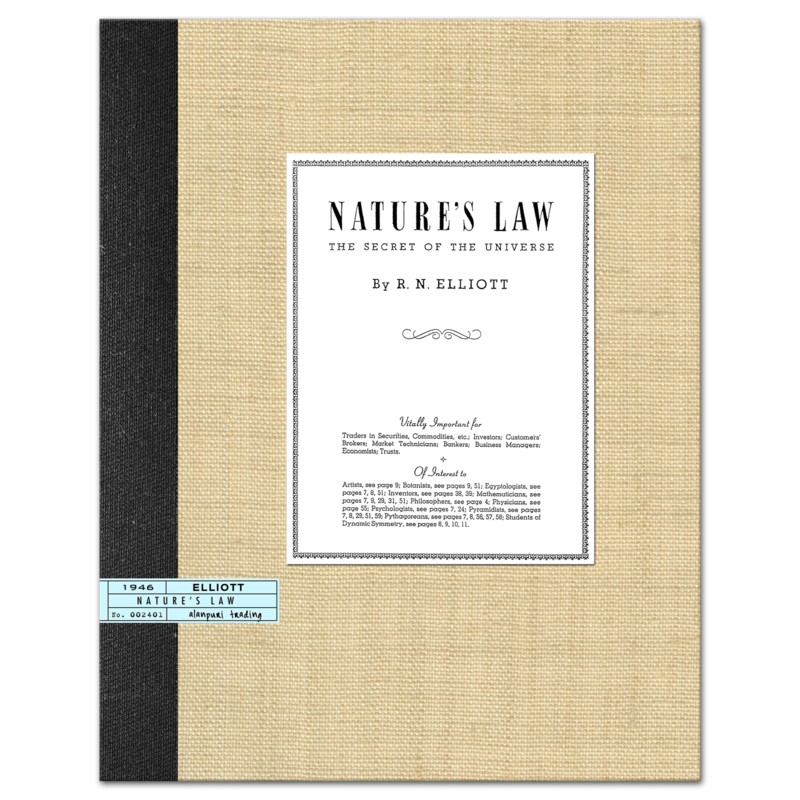 Softcover, Reprint of the original 1921 document, (Original self published by Prof. L.H. 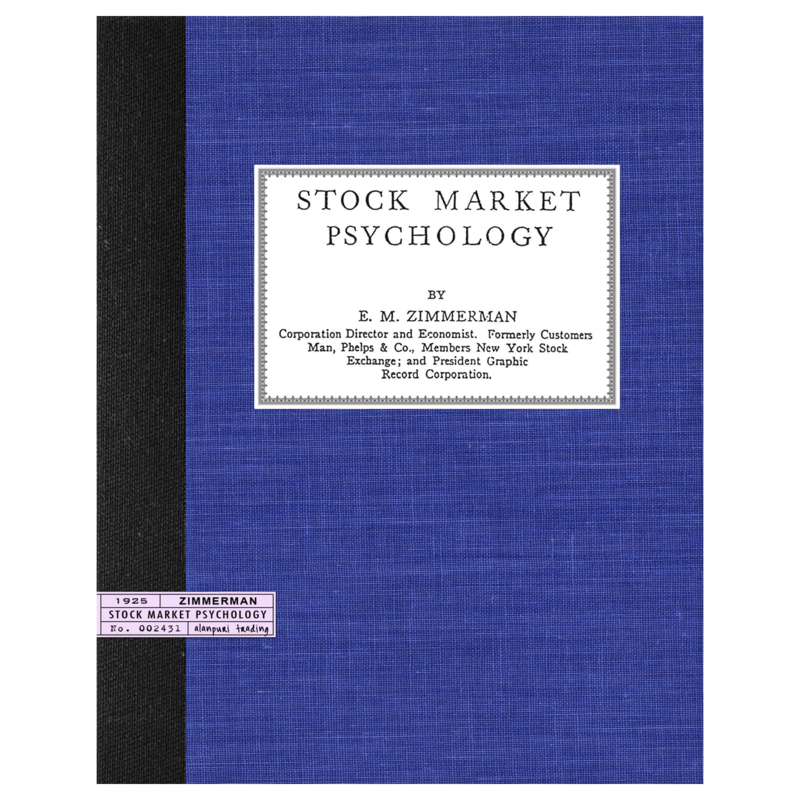 Weston in 1921), Contents: Reprint of a very rare manuscript on Forecasting Stock Market movements using Astrology, and one of the first titles on Financial Astrology. This is a favorite among W.D. Gann Students. 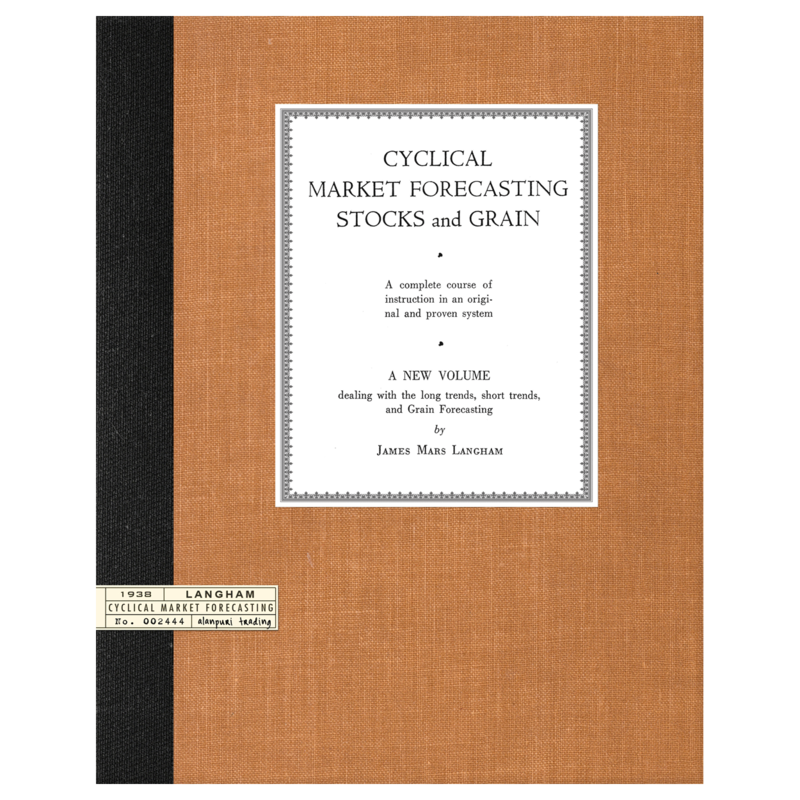 General consensus within the astro-economic community traces the primary development of modern financial astrology to around the 1920’s, the first time Gann mentioned a planet being in a 1921 Forecasting Course. 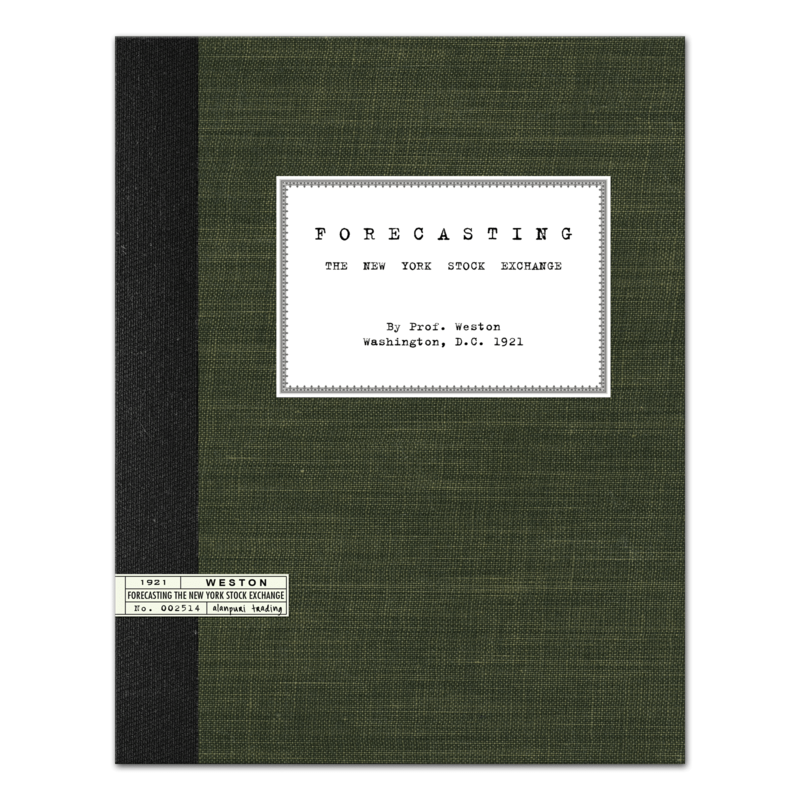 Professor Weston’s breakthrough work, Forecasting the New York Stock Market, also dates from 1921 to 1923, and in the 1920’s Sepharial produced most of his known Arcana or Keys to the markets, though he states in his advertisements that these systems had been in development since 1898. 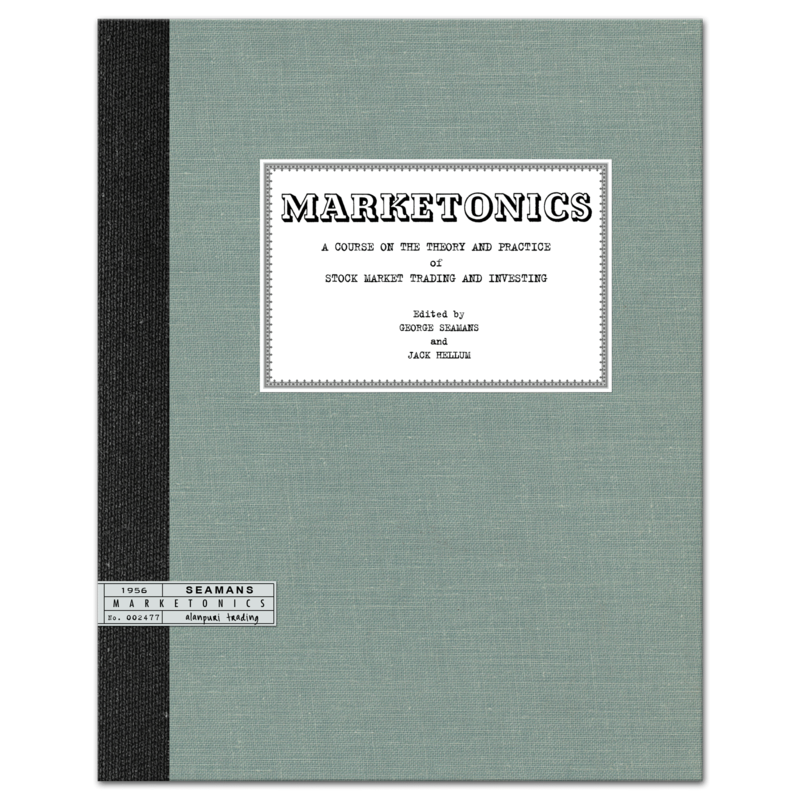 Professor Weston represents the earliest application of Fourier Sequences to market analysis, by breaking down component cycle waves and combining them to produce a composite model. 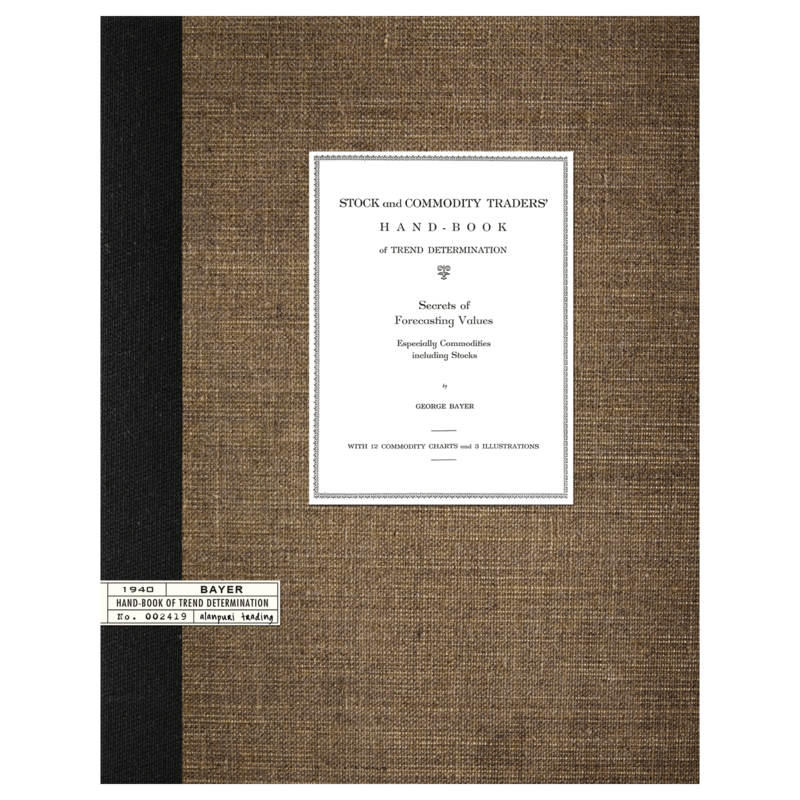 Weston was a regular contributor to Frederick White’s journal, The Adept. Weston was also one of the first to propose a theory of the 10 year cycle, actually with two different versions of the ten year pattern. The first is his computation based on 50 years of data, of a series composed of 14, 20 and 28 months, called the Venus term and based upon the Heliocentric system. The second is a sequence which divides the Jupiter/Saturn cycle into 10 irregular parts, but follows the Geocentric system. Professor Weston was a great influence on Gann, implied by his manuscript being locked in Gann’s safe, and he may have been the one who introduced Gann to Fourier cycle theory, providing Gann with the foundation for his 10 year cycle with its multiples. 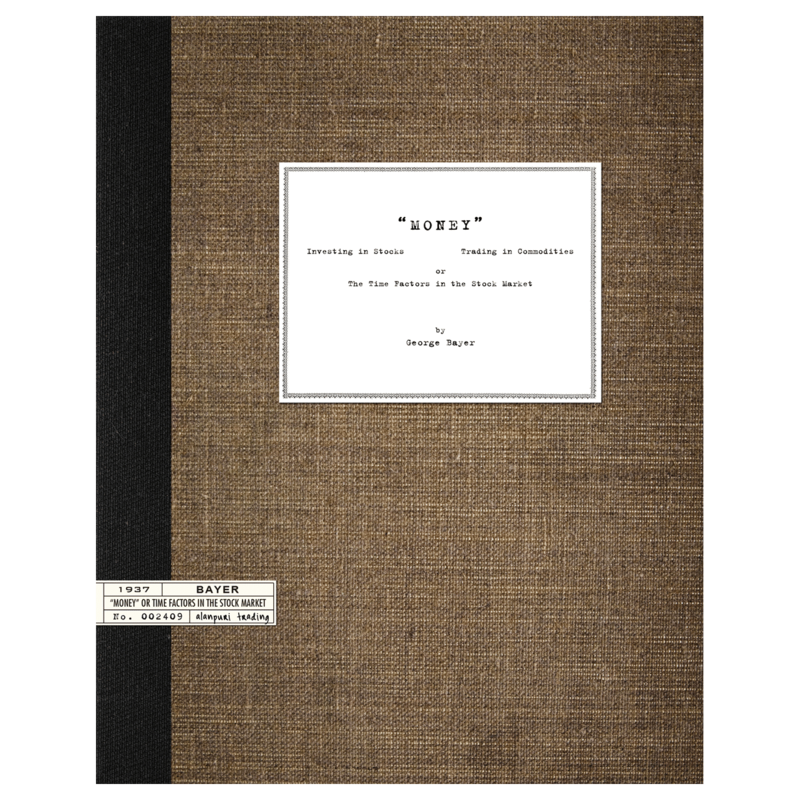 Extremely Scarce, REPRINT, 47 pages.